The Queen has spoken of her “great pride” at the work that her eldest son the Prince of Wales is doing to help regenerate a town. Six of The Prince’s Charities have collaborated to make a difference in Burnley, Lancashire in a bid to revitalize the former world centre of the cotton industry. The Prince of Wales has been a regular presence in the town which has suffered from economic decline and social deprivation in recent years. This was Her Majesty’s first visit since 1987. Accompanied by The Duke of Edinburgh as part of her nationwide Diamond Jubilee tour, The Queen was greeted with a warm welcome by hundreds of well-wishers as the royal party boarded a barge which took them along the Leeds and Liverpool Canal. The short journey took them to the Weavers’ Triangle which takes its name from the cotton workers who were housed and worked there in the 19th Century. Together with His Royal Highness they met young people and organizations who have worked with The Prince’s Charities. They then attended the start of The Prince’s Charities Regeneration Summit at the heart of the planned multi-million pound regeneration plans for the Weavers’ Triangle which The Prince believes has huge potential and could be “the real making of the town”. It is hoped the £100 million development for leisure, office and educational uses could create 1,000 private sector jobs after the local council acquired the historic listed buildings along the canal and saved them from falling into permanent disrepair. Work could start within weeks on the building of a university technology college in a mill on the site with the first students beginning classes in August 2013. In a speech at the start of the summit, The Queen said: "I have been interested to learn today about the work undertaken by The Prince’s Charities to transform lives and build sustainable communities. By joining forces with local groups here in Burnley they have helped to make a considerable difference to the town and its people. “I have no doubt much of this is due to the hard work and commitment of those who selflessly volunteer their time and energy, some of whom are here today. 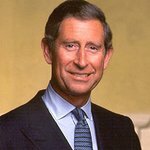 “The leadership and interest of The Prince of Wales has encouraged and enthused communities to come together to improve their neighborhoods, their towns and cities and their countryside, and ensuring that The Prince’s Charities focus on the right areas, such as the quality of the built environment and opportunities for young people. And to her son The Prince of Wales: "And so it is a source of great pride to see your work bearing fruit through the activities being discussed at this summit. The result of your determination to make changes for the better, in a wide range of areas, across the country and further afield, is an ongoing legacy which is present for all to see and understand today. “To all those who work so hard to support these admirable goals, I give my thanks. The Queen later toured Burnley College and its University of Central Lancashire campus.